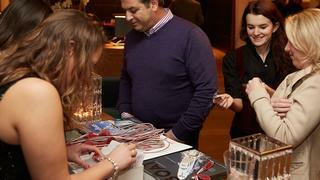 Registration opened on the first day of the 2015 Superyacht Design Symposium, allowing guests to collect their tickets and programme and gain entry to the welcome cocktail party. 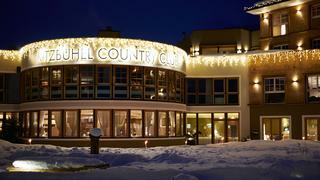 The welcome cocktail was held on the first evening of the 2015 Superyacht Design Symposium, at the Kitzbühel Country Club. 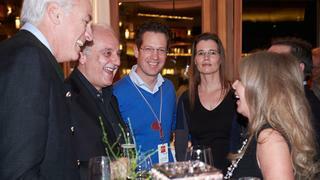 Peers meet at the welcome cocktail at the Kitzbühel Country Club ahead of the start of the Superyacht Design Symposium the following day. The first day of the Superyacht Design Symposium 2015 kicked off with a plenary session about glass as a construction material. 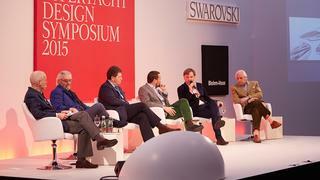 The panel, pictured above, features Terence Disdale, Andrew Winch, Peder Eidsgaard, Espen Øino and Tim Heywood, who discussed whether exterior or interior design comes first. 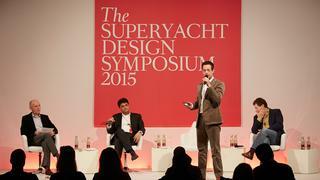 The technical workshops proved very popular at the 2015 Superyacht Design Symposium. The workshop photographed focussed on custom, semi-custom and platform yachts, discussing what the implications are for owner and designer with each type of superyacht. 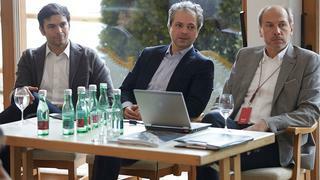 Leading the technical session was Michael von der Heider (left), Patrick Coote (centre) and Peder Eidsgaard (right). Of course, any Superyacht Design Symposium wouldn't be complete without the ShowBoats Design Awards. Photographed above are all the 2015 winners with their neptune trophies. The awards were given out at the end of the first day, before guests were taken to the celebration party in the mountains. 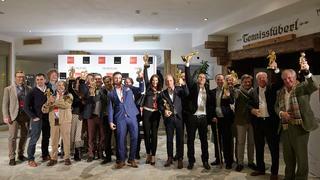 Of course, any Superyacht Design Symposium wouldn't be complete without the ShowBoats Design Awards. Photographed above are all the 2015 winners with their neptune trophies. The awards were given out at the end of the first day, before guests were taken to the celebration party in the mountains. After a rather intense day of debating superyacht design, symposium guests took to a lodge in the mountains to celebrate the 2015 ShowBoats Design Awards. 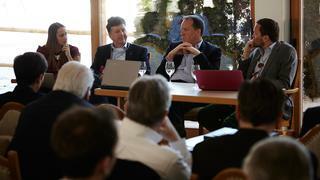 The second day of the 2015 Superyacht Design Symposium brought even more debate. Over the course of the two days the delegation discussed everything from audio visual developments to sustainable yachting and craftmanship. The technical workshops, which focussed on designing with glass as a structural material, AV and design and designing for security, wound up on the second day ahead of the increasingly popular Blohm + Voss Ski Cup. The 2015 Blohm+Voss Ski Cup pitted Superyacht Design Symposium delegates against each other in a slalom race. 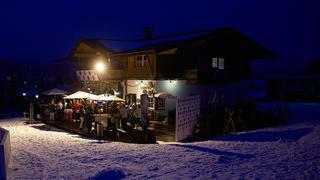 76 entrants were watched by spectators who kept warm with gluhwein and rang their cow bells as each competitor passed. In the end it was Giovanna Cabbia, pictured, who was the fastest female and yacht designer Lorenzo Argento who won it for the men. The aprés ski party began with the traditional spraying of bubbles over the Blohm+Voss Ski Cup winners and went on long into the dark night, providing the perfect end to an insightful few days at the 2015 Superyacht Design Symposium.